This is a delicious recipe even without carb-heavy pasta noodles. The basic recipe, which is equally as yummy, comes from my friend Tiana Johnson, but I’ve made some changes to enhance the taste even more. Preheat oven to 350 degrees. Prep the sauce, ricotta cheese and zucchini as noted below. Sauté ground turkey in large pan until cooked through. Add marinara sauce, garlic powder, oregano, and salt and pepper. Heat through and set aside. Put ricotta cheese in medium bowl. Mix in the egg, 1/4 cup of mozzarella cheese, 1/4 cup of Parmesan cheese, garlic powder, and oregano. Set aside. Use a carrot peeler or mandolin to make long, thin, but wide strips of zucchini. Set aside. Coat the bottom of a 9″ X 12″ pan with a thin layer of the meat sauce. Cover sauce with a layer of zucchini strips (just as you would lasagna noodles). On the zucchini strips, add a layer of spinach leaves. Add all of the ricotta mixture and smooth out to completely cover the spinach leaves. Add another layer of zucchini strips and then spinach leaves. On top of the spinach leaves, layer half of the meat sauce, covering the spinach as much as possible. Top meat sauce with 1/4 cup of shredded mozzarella. Add another layer using the rest of the zucchini strips and then spinach leaves (you may only need half of the bag for this recipe). On top of spinach leaves, add the rest of the meat sauce. Add the final 1/2 cup of mozzarella cheese on top of sauce. Bake uncovered in oven for 30 to 40 minutes until cheese is melted and lasagna is bubbling. Some liquid from the zucchini and spinach will accumulate in the bottom of the pan. When cool enough, you should be able to ladle off some of the liquid from a corner of the lasagna or you can very carefully pour some of the liquid off. Let the lasagna cool a little for more even cuts or serve hot out of the oven. It can also be refrigerated and cut later and individual pieces microwaved to heat. That’s the question I get from everyone. Of course, I love it. Getting up in the morning when my body wakes up, instead of when the alarm goes off. Sitting by the kitchen window, savoring my coffee and reading the newspaper from cover to cover. Having the whole day stretched out in front of me to do whatever I want. Time. That’s the gift I was given. I’m just wondering how to manage it. I have so many things I want to do: two books to finish before the end of the year, freelance writing and editing, health coaching, keeping up with my blog, marketing my books, downsizing our house of forty plus years, getting together with friends. So many things on my list, but how do I work it all into my new life? In my yoga class, we spend lots of time on breathing. Inhaling positive energy and exhaling the stresses in our lives. We’ve timed our breaths so we know how long to hold a pose. I found that I take six breaths in thirty seconds, an optimal amount of time to stay in the Tree Pose or Warrior II. But how much time each day should I spend on my list of projects? How much on each book or on submitting short stories to literary journals or going through household items to sell, give away or discard or just having coffee with a neighbor? Do I try to do a little of each thing every day or divide it up over the week? This is my dilemma. In yoga class, we work on balance. We stand in Tadasana, feet hip-width apart, knees pointing straight over feet, all four points of the soles resting with equal pressure on the floor. When in certain other poses, often all the weight moves to one leg, our eyes focused on one spot. These techniques keep us balanced. We sometimes practice breathing in one nostril and exhaling out the other, then reversing, inhaling through the other nostril, exhaling out the other. When we revert back to natural breathing, we feel increased energy and a sense of balance. I’m new at this retirement thing. It’s only been a couple of months, which included two trips out of town. I realize I’m going to have to try different things, learn what works best for me. Maybe because it’s September now, end of summer and the beginning of a “new school year,” so to speak, I’m already starting to gain a little clarity. This week I’ve already entered two flash fiction stories in contests and one for possible publication in a literary journal. I’ve submitted the first chapter of a book to my novel critique group. Participated in health coaching webinars and registered to attend a session in town this weekend. Spent the afternoon with several neighbors at a Labor Day get-together and accompanied my sister-in-law with her sick cat to the vet. And—I’ve written this blog post. I think I might be getting there, finding balance. Learning to honor and appreciate my new life. You don’t have to be a foodie to enjoy New York Times bestseller, Kitchens of the Great Midwest, by J. Ryan Stradal. As I read, I was reminded of the book Olive Kitteridge by Elizabeth Strout, with its small town feel and the fact that it revolves around a main character, Eva Thorvald. Eva appears in each chapter, sometimes the dominating character and other times hovering in the background through the eyes of others. Eva Thorvald, as an infant, is abandoned by her mother and orphaned by the death of her father. Raised by her aunt and uncle as their own child, Eva has an innate sensibility about food, eventually becoming a renowned chef. Throughout the book, we see Eva mostly through the points of view of other characters. Stradal’s great strength is in his rich character development. The reader feels invested in these characters and wanting more at each chapter’s end. When I finished reading this book, I knew I wanted to learn more about this author and his thought processes in writing such a unique novel. Q: When I first saw the title of your book, Kitchens of the Great Midwest, I thought it was a cookbook and was surprised to discover it was a novel, a bestselling novel at that. How did you decide on the title and what was your publisher’s opinion about that? J. Ryan: I came up with the title “Kitchens of Minnesota” before I even started writing, but the first time I saved a few of the chapters in a collected Word file, I changed it to what it is now. That said, the selection of title happened very early and wasn’t done by committee or with the intervention of my editor or agent. I will likely need their help for my next book, however. Q: What was your motivation in writing a novel focused on food and cooking? Are you a foodie? Do you enjoy cooking? J. Ryan: Food has been a major narrative preoccupation of mine for some time. This is the first occasion where I’ve really had the excuse to center a narrative on the topic. That said, I believe it’s a book about family first—in essence, a mother-daughter story—and a food book second, at best. I’m still improving as a chef, but I’ve been an enthusiastic end-user for a very long time. As soon as the state of Minnesota let me have a driver’s license, I was going up to the Twin Cities with my high school girlfriend Stacy to try out new and exotic cuisine. It may have been unusual for teenagers at the time, but it was what we did, at least a few nights a month. Enjoying new food is a primary motivation behind my adult travels as well. Malaysia, Iceland, and Argentina in particular have been highlights. Q: The reader gets to know your protagonist, Eva Thorvald as a child and teen, but we see her less as the book proceeds. Her character development seems to advance through the eyes of others. Why did you continue to move her more and more to the background just when the reader wants to get closer to her? J. Ryan: There were a few reasons for this. I felt that it legitimized her fame and talent in the eyes of the reader – since we tend to believe what characters say about each other, and less what they say about themselves – but it also followed the arc of how her fame rendered her remote and required a greater need for privacy. In the end, when Cindy goes looking for Eva, I wanted Eva to be almost as mysterious to the reader as she was to Cindy. Q: Do you see yourself in any of these characters? J. Ryan: Yes, almost all of them. I’ve heard before that a writer’s first novel is about their childhood whether or not they intend it to be. Certainly I share mistakes, regrets, and tastes with many of my characters. 11-year old Eva, Will Pager, and Jordy Snelling have the highest quotient of my life and experiences in them, but none of them are too much like me. Q: A thread runs through your story depicting children raised by single parents because of death, divorce, or abandonment. Is this something drawn from your own experience? J. Ryan: The idea of the “family of choice” was important to me when I set out to write this book, so I decided to portray each family I featured as some kind of non-nuclear unit. It’s also been my personal experience, yes, but also common in the lives around me. Q: I see from your book acknowledgements that some of the recipes in the book are attributed to a Lutheran women’s cookbook. But where did you get your knowledge of upscale food preparation and ingredient sourcing? J. Ryan: That began in college with my college girlfriend Carly’s father Tony and extended into my life in Los Angeles, particularly in the last ten years or so. My friendship with a chef named Patty Clark has been the source of much of my education and awareness. Back in Minnesota, my dad and my stepmom also turn me on to new varietals, and no people I know are more serious about tomatoes than Katie Vincent in Los Angeles and Spencer Foxworth and Kristen Kennedy in Oregon. Q: If you were invited to a dinner party, who would you want at your table? These could be fictional or real people. And what would be served? J. Ryan: What I wouldn’t give for one more dinner with my mom. And I have to admit, my food requests would be pretty simple. Fish and peas. Q: As a writer, I’m often interested in other authors’ writing processes—when, where, and how. What is your writing routine? J. Ryan: I like to wake up and get at it first thing in the morning. If I don’t, I try to get the stuff of life and errands done before lunch, or else I go to the gym and eat lunch before starting work in the late afternoon through the evening. Sometimes I do both shifts in a day. I usually work at home but lately I’ve been taking trips of a few days or more out of town, in a place where I don’t know anyone. Recently I holed up at a winery near Paso Robles for a week. I was very lucky to get to do this kind of thing. Q: Do you have plans for another novel? J. Ryan: Yes, I’m about halfway through the first draft, by my estimation. It also takes place in the Midwest and so far involves a couple of the characters from Kitchens in minor ways. This could change, so don’t hold me to this. So far the two most prominent characters are Pat Prager’s mom and eldest niece, but Pat herself, at the moment, makes only a fleeting appearance. Q: In addition to your writing, your varied background includes fiction editor at The Nervous Breakdown, acquisitions editor at Unnamed Press, and reality TV show producer. But I understand that you also are a volunteer for various charitable causes in the LA area. Tell me about that. J. Ryan: I’ve been involved as a volunteer at 826LA, a nonprofit literary/educational nonprofit started by Dave Eggers, since 2005. It’s a wonderful organization, where I’ve met some of my best friends in the city, and working with the city’s student population has changed my life. I’ve done everything from free SAT guidance to basic English to creative workshops where the kids create something from scratch. Every time I sit down with them, they blow me away. My favorite grade levels to work with are fourth graders and high school seniors, but this spring I’m teaching writing to middle schoolers. I had an awful time in middle school myself so I’m extremely sympathetic to them in advance. I believe that every writer with the ability to do so should volunteer in his or her community. It’s the best possible use of one’s free time, and it’ll really make a difference to someone from whom one-on-one time with a concerned adult is a premium. If not for the librarians and teachers at my grade school who made extra time for me, and devoted time out of their day to give me special projects, I don’t think I would’ve ever found a focus for my creativity, or believed in its potential or utility as much. I think about this every time I leave the house to drive to 826LA. I’m there for the students because I know what it means, firsthand, to have a concerned adult encourage and enable your ideas. It’s the absolute least I can do. Thank you, J. Ryan, for generously sharing your time and your thoughts. Well, so far my week-long stay-cation off of work to progress with book three has been pretty successful. I’ve added some new chapters, new scenes, new scenarios. I feel good about my progress. But it would be a misconception if you think that each morning I merely sit down at my computer and begin to write. That’s not my process. I don’t use an outline or file cards or sticky notes on the wall. I’m not always sure exactly where my story, or my main character Trudie Fine, will take me each day. I’ve been bouncing ideas around in my head since stepping away from the computer the evening before. In fact, each day, I worry whether or not I’ll be able to have a successful writing session. Can I create the next scene, the next chapter? I worry that maybe I won’t be able to write today. Self-doubts emerge – Can I really write? Am I a writer? Is my writing any good? To counteract these feelings, I find that I have to ease in to my writing sessions. Many writers can sit down and knock out two thousand words in no time. Not me. Once I’ve had my coffee and breakfast, I plant myself in front of computer. I first have to check and respond to my emails. Then I check Facebook, like, reply, comment. Of course, to get my mind going, I play a game or two of Solitaire, a game of Hearts. Okay, time is ticking away. No more procrastination. No more excuses. I open my screen and it says “Chapter Twelve” with only blank space below. I go back to the scenes from the day before and read them through, make word choice changes or flesh out the scenes. I’m in the zone now. My confidence and ideas start to bloom and even surge. And I begin to write. I bought it on the day John F. Kennedy, Jr. died, July 16, 1999. Not the greatest of memories to associate with the purchase of my very first brand new car, but a milestone day for me. The cars I’d previously driven had never been my choice: my father’s car, a hand-me-down from my husband or some used vehicle on its last legs, purchased at an affordable price from a friend. 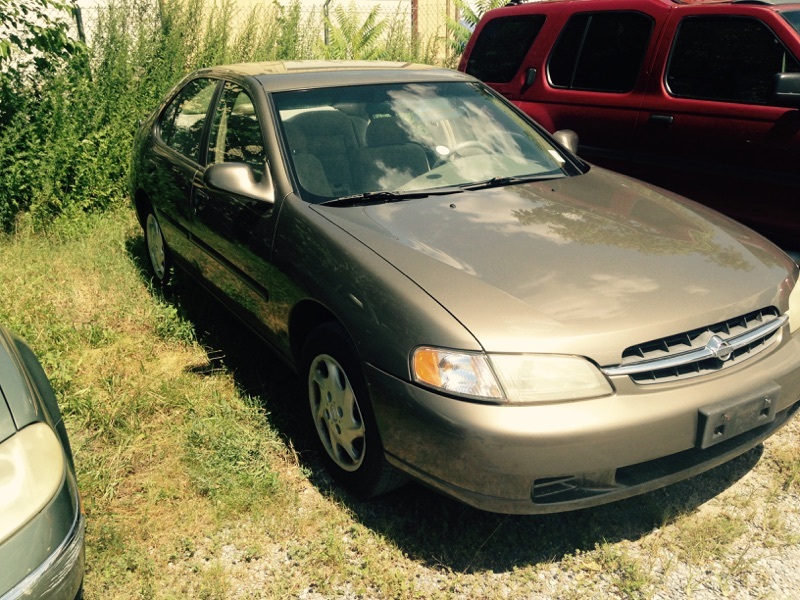 What a thrill it was to finally select the exact vehicle I wanted from a car dealer, brand new off the lot. Tan-colored with a beige cloth interior, it wasn’t a fancy car. Nothing anyone would notice in a parking lot or on the road. Just an unassuming, but reliable car. Over the years, I watched as others brought their fairly new cars to their dealer or service station for repairs. My car only required oil changes every 3,000 miles, and when necessary, a new battery or tires. It never failed me on trips back and forth to work, or even on an occasional out-of-town jaunt. During the sixteen years I owned my car, friends and relatives replaced theirs with new vehicles, some every two or three years. They spoke of GPS and Bluetooth and Sirius radio. They boasted about keyless entry and backup cameras. I never had the desire for a new car. Mine got me where I wanted to go without fanfare and without fear of a breakdown. Its body remained smooth and unblemished. All good things, however, come to an end. The driver side visor broke loose and had to be jerry-rigged into place in a permanent down position. Mysterious wisps of smoke occasionally ascended from my steering column like a genie emerging from his bottle. When stopped in traffic or at a light, the car idled so roughly it felt like a vibrating bed in a cheap motel room. The “check engine soon” light became a constant beacon on my dashboard. It would take many hundreds of dollars to fix these problems. The time had come for a replacement. Something new. Driving my car for the last time, I abandoned it at the dealer. It wouldn’t have the pleasure of ownership by a new family. Instead, it would be trucked to some car auction, dismembered and sold for parts. A pretty sad legacy for a great car. I drove off the lot in my brand new car, a lovely head-turner, graceful as a white steed in an open field. I’m hoping for another sixteen years. Fine Dining – book 2 now available! 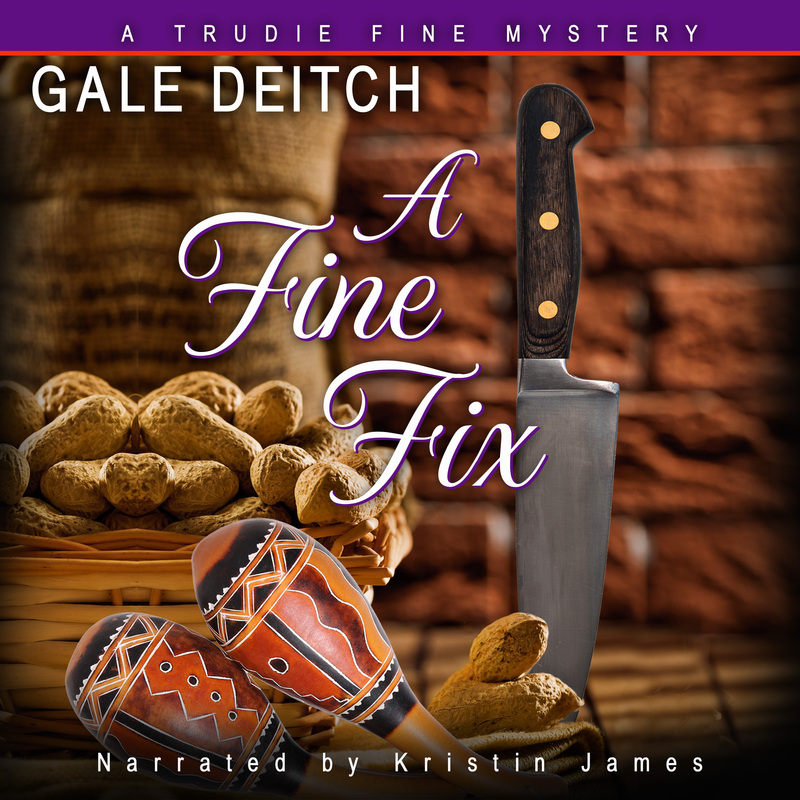 “Fine Dining” – Book 2 in the Trudie Fine Mystery Series – available now! 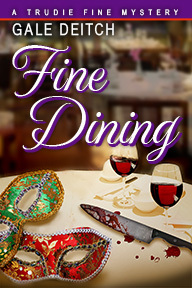 “Fine Dining,” book 2 in the Trudie Fine Mystery Series is now available on Amazon.com in paperback and eBook. It is also available in all other eBook formats–Nook, Apple, Sony, etc. Included in book 2 are more wonderful recipes by DC Executive Chef James Turner. Book 1, “A Fine Fix,” is now available as an audiobook on Audible.com, Amazon.com and iTunes. And if you join Audible.com, you can get my book for free! This book was narrated by talented actress and voice over personality, Kristin James.